Afforestation is a proven method which contributes to environmental conservation, less-polluted industrial development and healthy community activation!! Hariyali in Thane (near Mumbai), is one of the rare organisations in India which takes up this activity! 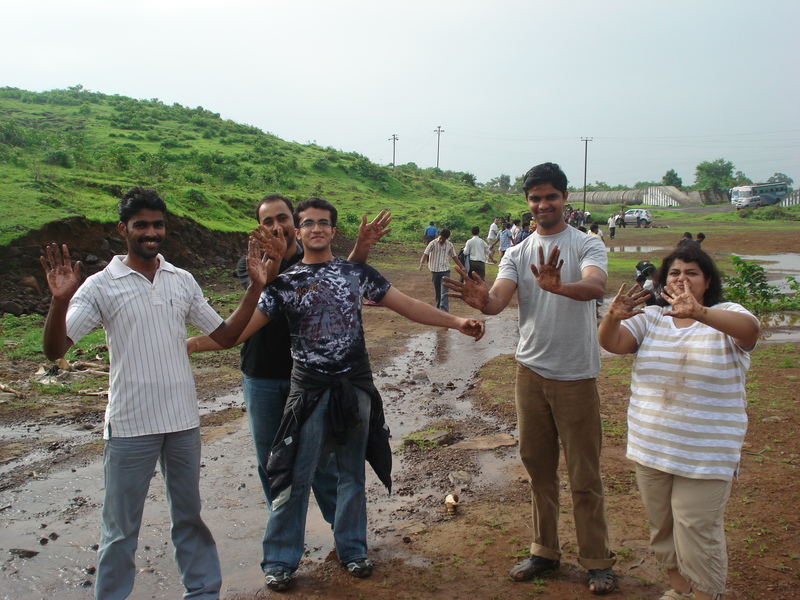 In 2008, we formed a Go Green committee at work. This committee consisted of members who were passionate about the environment & wanted to do something about conserving the same. Initially we started sending emails about awareness & also arranged a small presentation. However, we wanted to do more! One of the members of the committee came across this NGO Hariyali. The chief founders of this NGO are Senior Citizens who were passionate just like us about environment but are actively involved in making this planet a little more greener. 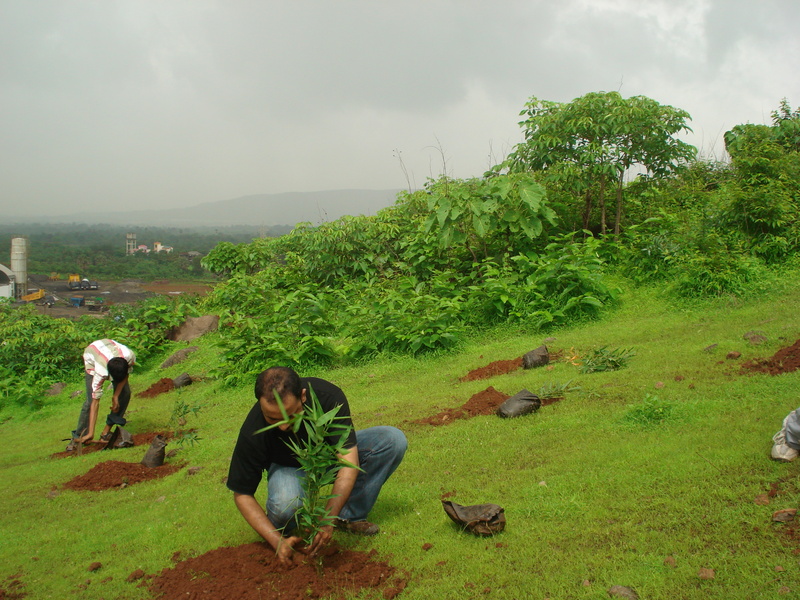 Apart from other activities, they were also involved in Afforestation of an area in Bhavale, near Thane Nasik Highway. We planned to check it out one Saturday. 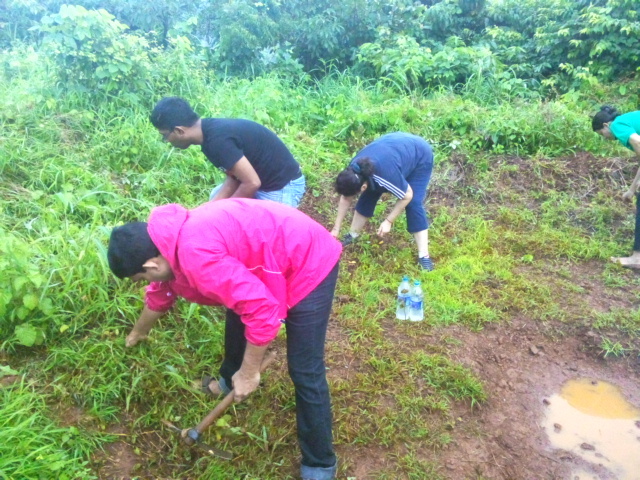 The plantation activity was being done by NSS students & other corporate employees. We were amazed at the enthusiasm of the founders. 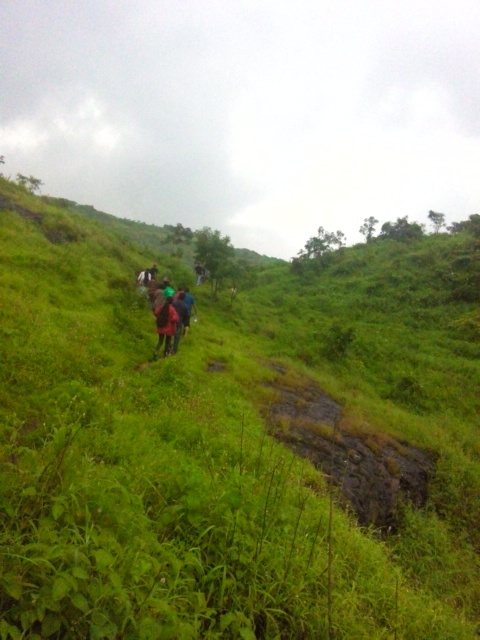 Their agility in climbing up the hill ashamed us & made us realize how unfit we were. 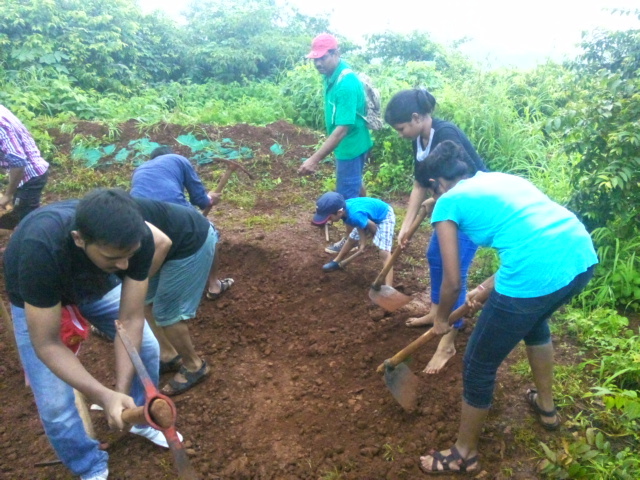 We started with the plantation work after a short briefing. The Saplings had to be carried to the top of the hill, where they would be planted. At the end of the task, we were satisfied & decided to involve more colleagues in to this activity. Since then, every year we manage to go there once. 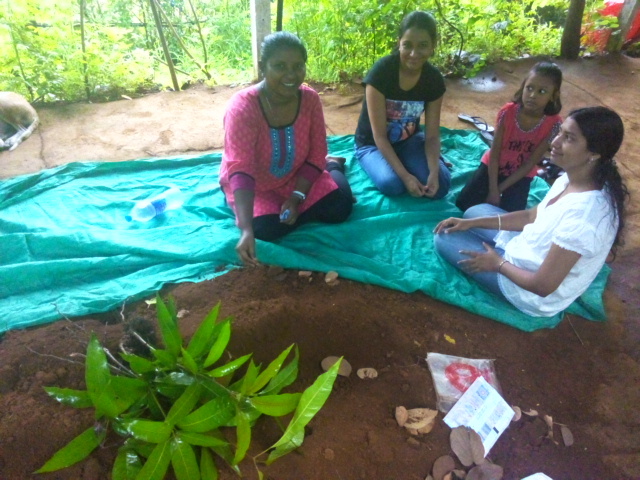 The plantation is done in monsoon, it drizzles most of the time & this activity became fun for all of us! Planting saplings is not enough. We also need to protect the plants & see to it that they are growing properly. We also need water conservation so that plants don’t wilt during summers. Constructing bunds, ponds, etc is a part of the post plantation activity. This year, post the tree plantation activity, we came to know about the hurdles the NGO is facing, especially shortage of volunteers & we decided to contribute more than once a year. Sowing seeds & managing saplings! All this is due to encouragement of our senior management. Without their support, it wouldn’t have been possible to sustain this activity for so many years. After 6 years, the place has metamorphosed from a barren land to lush forest. 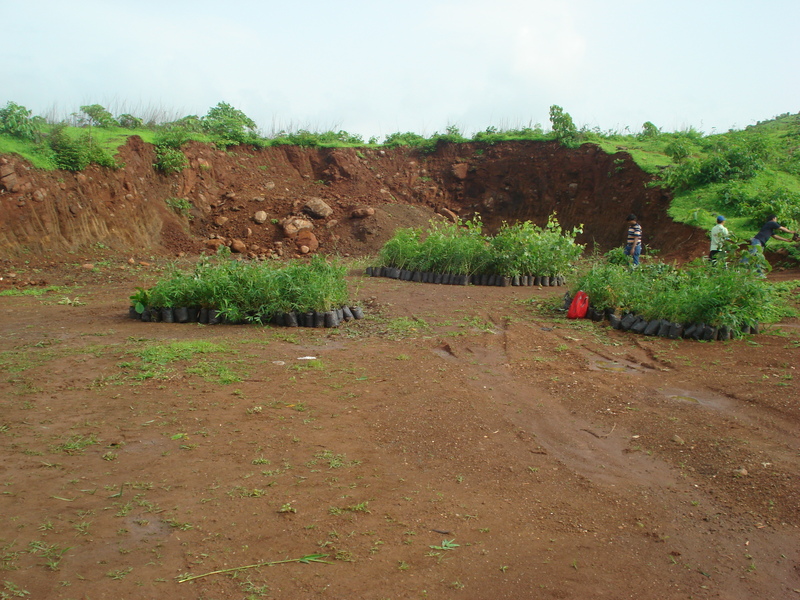 We also feel proud that the forest contains some of the trees planted by us. Just like we are enjoying fruits of someone else’s labour, someone else will be enjoying fruits of our labour. It also feels great to give something back to nature! In 2008 – The land was almost barren! In 2014 – It’s a lush forest! This is great. This post is very encouraging. Well written Rajul!! Will definitely help in spreading the message…. 🙂 ….